We haven't done a Friday Freebies for a while, and this one comes at a great time. Just as we're gearing up for this weekend's Green River Festival, one of the artists playing on Saturday has a free release on NoiseTrade. Langhorne Slim & The Law have a new album coming out (The Spirit Moves, due out August 7th), but in the meantime you can download The Way the Spirit Moves for free! The Way the Spirit Moves contains three songs from the upcoming album as well as three songs from 2012's The Way We Move. It's a perfect primer if you're just discovering Langhorne Slim's energetic folk rock, or if you've been a fan but just want a preview of the new album. Either way, it's free! You can download The Way the Spirit Moves on NoiseTrade. 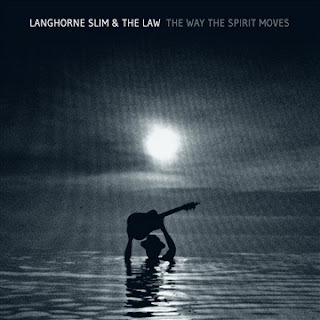 For more information on Langhorne Slim & The Law, head on over to his website. If you're in the New England area, there are still tickets left for this weekend's Green River Festival in Greenfield, MA.